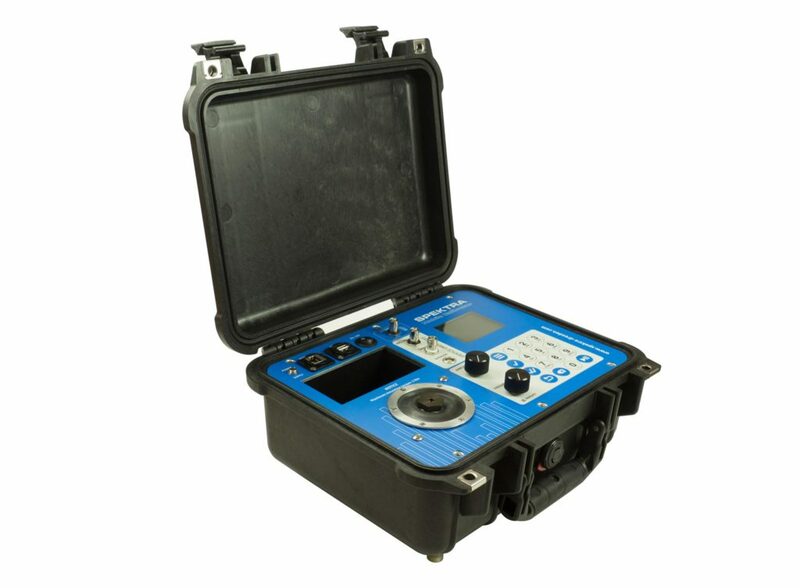 The new CV-10 mobile calibrator, designed and built by Spektra, consists of a complete accelerometer calibration and test system installed in a rugged waterproof case. of 5Hz to 10kHz. The system has built in signal conditioning for direct interface with IEPE, Charge mode, direct voltage and current output sensors as well as an extension port allowing other interfaces including an optional piezoresistive (bridge type) interface. The measurement results are displayed on the integrated display and stored in internal memory, the data transfer is performed via the supplied USB memory stick as standard or and optional ethernet connector is available for direct connection to PC. Software is supplied for setting configuration parameters and generating automated calibration sequences. Please ask for further details, or if you are interested in a demonstration of this new mobile vibration calibrator system.